Can Public Higher Education Bring Hope to South Side Chicago? A community faced with housing and employment challenges and people searching for safety and prosperity. The “toll that black flight is having on Chicago” after losing “181,000 black residents just between 2000 and 2010” to other jurisdictions. 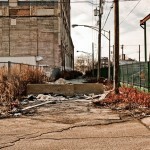 The “violence and decay” that now shapes and scars many South Side residents. The effects of weakened political clout, limited public services and increase of poverty and crime. As I peered through Lee’s window into South Side Chicago, the provision of easily accessible and functional education was the most important infrastructure that crossed my mind. First, secondary and post-secondary institutions should introduce practical and hand-on public administration courses that will involve identifying, collating and assessing existing public infrastructure in neighborhoods and communities. Second, students should measure the level of efficiency and effectiveness of such infrastructure as they relate to providing services that will empower the populace. Third, students should investigate and report maintenance history of such infrastructure so as to put the public on notice should there be a cause for concern. Fourth, as part of the course curriculum, students should be mandated to come up with modalities for mobilizing each community for collective action, based on firsthand intelligence gathering. Fifth, students should become recruitment agents for schools so that young people are encouraged to enroll and complete secondary and post-secondary schools. Sixth, the City of Chicago should provide incentives that will make education attractive and easily accessible. In addition to the provision of grants and scholarships, the city should build special work-schools that allow students to work and earn a pay while taking classes. Seventh, online and correspondence classes should be provided to make education even more accessible while eliminating lack of proximity, especially due to growing urban sprawl, state of insecurity and transportation issues. Recognizing that we build infrastructure to enrich lives and lift people out of poverty, government should be deliberate in setting up a mandatory one-year post-graduation program that will guarantee unfettered access to jobs in the construction of critical infrastructure such as roads and bridges, railway tracks, airport runaways, waterways, telecommunications, port facilities and sanitation and sewage. Government should partner with private donors, foundations, and nonprofit organizations to provide low-cost modern homes, in addition to enlisting and paying local residents to execute neighborhood beautification projects. A new culture of appreciation for hard work and success should be inculcated. Successful Black basketball, football and hockey players should be invited to invest in sporting arenas and promote the discovery and training of talents locally. Funds should be invested in both amateur and professional sporting activities within South Side Chicago to divert attention from the life of violence that many young Black people know. Successful Black people in various fields should be encouraged to start mentoring programs. Black music artists should establish music training schools so that talents can be discovered. The same applies for Black actors and actresses whose involvement can lift many out of the circle of violence into becoming creative and productive members of society. Mass enlightenment by successful Black politicians should seek to mobilize unemployed youths to shun gangs and violence while embracing the lawful path of becoming patriotic citizens. A tighter gun law that will take guns away from criminals should be promulgated. A system of reward for peace-loving neighborhoods should be promoted. Decaying infrastructure must be replaced or maintained quickly. Growing middle class residents with political clout in a well-educated neighborhood should be a priority. Provision of proper public services, including functional recreational facilities will give birth to a new South Side Chicago. A proactive, inclusive, preemptive, preventive and highly versatile intelligence-driven police force must be in place. The military too should see South Side Chicago as a resource pool from where soldiers could be recruited. Author: Sunday Akin Olukoju is the president of the Canadian Center for Global Studies, a nonprofit organization. Dr. Olukoju also teaches at Athabasca University in Alberta Canada. He can reached via: [email protected].